TOGAF mentions compliance throughout its documentation, and devotes a whole chapter (48. Architecture Compliance) to the subject. But it remains a part of the documentation that few really understand or use. 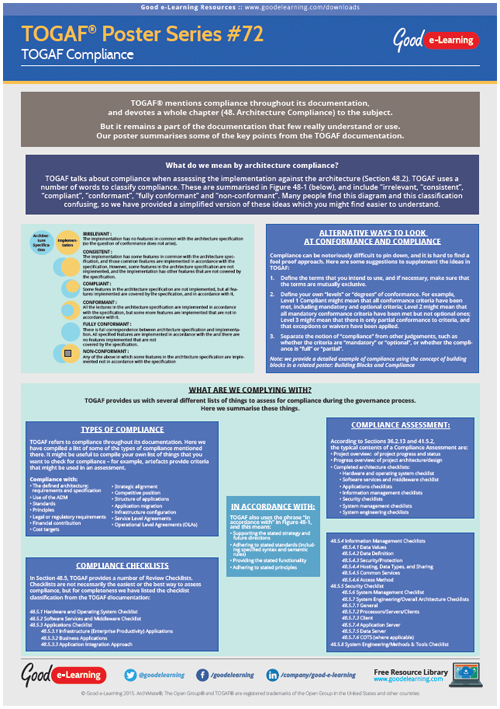 Good e-Learning’s enterprise architecture expert Roger Everden summarises some of the key points from the TOGAF documentation in this exclusive TOGAF poster!